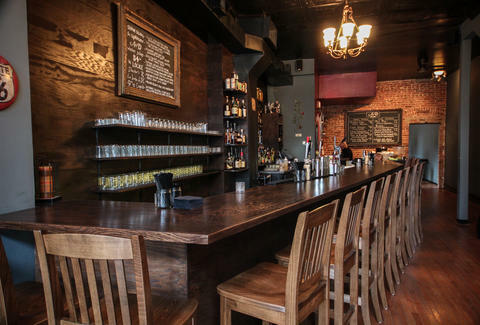 The folks behind Sundevich & Seasonal Pantry have officially taken over their entire block with A&D, a neighborhood bar in a former gallery, where you can now commission works of art...ery-clogging bacon-filled fatness and "dirty juice" cocktails. 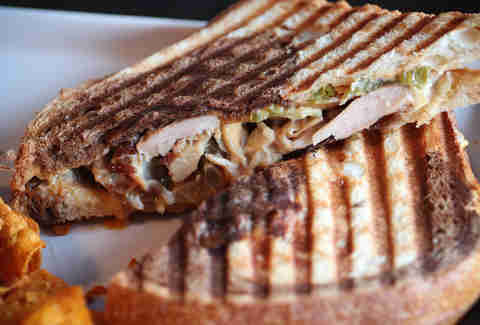 Close inspection of this panini reveals a chipotle mayo setting off pickled jalapenos and chicken "smoked out back chicken", because this damn nanny state won't let anyone smoke inside anymore. This isn't your father's poutine (he likely finished that a while ago). 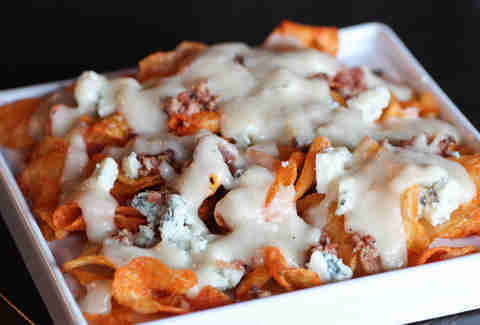 The remix coats habanero potato chips in Gorgonzola, gravy, and bacon. The cocktails change with the seasons, but expect that they'll serve this one for a while, because they called it "The A&D". 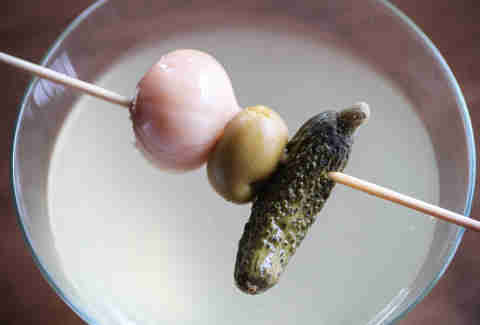 And it's filled with the liquid result of brining pickled pearl onions & olives (aka "dirty juice"), plus enough gin & vodka to put you comfortably out of commission.